Ben Nemtin is the #1 New York Times bestselling author of What Do You Want to Do Before You Die? And a star of the MTV show The Buried Life. As the co-founder of The Buried Life movement, Ben’s message of radical possibility has been featured on The Today Show, CNN, ABC, CBS, FOX, NBC News, and Oprah, who called Ben and his friends “truly inspiring.” An acclaimed speaker, Ben has keynoted business conferences and corporate leadership teams around the world, garnering standing ovations from Amazon, FedEx, Harvard, Levi’s, Microsoft, Verizon, and more. In 2019 Ben was named in the World’s Top 30 Organizational Culture Professionals by Global Gurus. It all stems from a battle Ben had with depression over a decade ago. In an attempt to feel more alive, he created the world’s greatest bucket list with his three best friends. They borrowed a rickety old RV and crisscrossed North America, achieving the unthinkable. And most importantly, every time they accomplished a dream, they helped a complete stranger cross something off their bucket list. From playing basketball with President Obama to having a beer with Prince Harry, from reuniting a father and son after seventeen years to surprising a girl with a much-needed bionic arm—Ben’s bucket list quest has inspired millions to realize their true potential. Ben has driven many other people to chase and achieve their dreams, as both a helping hand and as an inspiration. These experiences have taught him that articulating and prioritizing your personal goals is not a selfish act—but one that creates a ripple effect that can both help others directly and inspire others to live their best life. Ben weaves the remarkable story of how The Buried Life grew from 100 impossible dreams into a global movement and connects his story to the fabric of our daily lives. Ben’s message of radical possibility combined with his ‘5 Steps to Make the Impossible Possible’ leaves audiences not only inspired but also equipped to tackle the seemingly insurmountable. Ben’s system of achieving impossible goals demystifies daunting tasks by turning ‘dreams’ into ‘projects’ and creating a digestible pathway to success. Ben reminds us that it’s never too late to start your list or leave a lasting impact on others. What’s your dream? Asking this question is one of the fastest ways to transform relationships and build meaningful connections. Ben knows firsthand, he’s been asking it for the past decade. He also knows that pursuing your passions brings you a sense of purpose, fulfillment, and happiness. The truth is, a company can only become the-best-version-of-itself to the extent that its employees are becoming better-versions-of-themselves. Showing that you care enough to ask your team what their dreams are goes a long way, and it’s usually easier than you think to help them get there. Ben brings home the importance of pursuing a bucket list, not only for your own wellbeing but also for your career and for those around you. Ben facilitates goal sharing and inspires people into action by implementing tiers of accountability. Organizations that take a stand to support their employee's dreams see increased retention, improved recruitment and experience greater work-life-harmony. Ben authored a #1 New York Times Bestselling book, starred in an MTV show, met President Obama at the White House, was interviewed by Oprah, had beers with Prince Harry and has been living his dreams for the past decade. He also struggles with depression. This may come as a surprise, and that’s exactly why Ben wants to talk about it. In university, Ben was hit with a crippling depression that forced him to drop out of school and retreat into his parent's house. In an effort to climb out of his darkness, Ben decided to surround himself with friends who inspired him and committed to finally following his buried dreams. These commitments led him to Jonnie, Dave and Duncan and The Buried Life was born. Ben is a mental health advocate who believes that all humans have ups and they have downs. He believes the stigma around mental illness can be broken through open, honest conversations. However, the onus is not on the 1 in 5 who struggle with mental health to break the stigma, the responsibility falls on all of us. By showing how his vulnerabilities have become his strengths, Ben gives others the courage to talk about their internal battles. Ben shares the tools that help him cope with the stresses of life and emphasizes that it is ok to reach out for help. His astounding story and authentic levity gives audiences hope and normalizes behavioral health in a vibrant way. Ben’s 30-minute list writing workshop puts the '5 Steps to Making the Impossible Possible' into action. Inspiration doesn’t come to us, we must create inspiration by taking steps toward our goals and this workshop does exactly that. The breakout session includes writing your list, identifying the most important item on your list, dream sharing with an accountability partner and helping one another reach our goals in intimate group settings. These steps are designed to build accountability around personal goals, to generate inspiration by stimulating small actionable steps and to illustrate that help might just be sitting right next to you. This breakout session can be added to any keynote. A “Dream Wall” (or “Before I Die Wall”) is a popular pre-keynote activation. The walls come in many forms, shapes, and sizes but they all serve the same purpose: to get people thinking about their list leading up to Ben’s presentation. A “Dream Wall” is a place for attendees to write, stick, clip or post their bucket list item on a wall for everyone to see. This dynamic visual doesn’t just get people talking, it’s also a fantastic way to learn about the folks around you. It’s common for organizations to secretly choose a few bucket list items to check off and announce this after Ben’s presentation. BROOKFIELD, Wis., Jan. 28, 2019 /PRNewswire/ -- TTS, an OnCourse Learning Company, and the Center for Financial Training (CFT) announced the date and location for the annual Bank Trainers Conference & Expo 2019, the largest event dedicated to bank and credit union training professionals in the country. The event will take place May 7-9, 2019 at the Grand Hyatt Buckhead in Atlanta, Georgia. Over 1100 training professionals from banks and credit unions across the United States and beyond have attended the Bank Trainers Conference & Expo to experience informative and engaging keynote presentations, hands on workshops, and networking events with some of the greatest minds in the industry all come together at a state-of-the-art event designed to help attendees stay up-to-date on the latest training tools, trends and techniques. Keynote Speaker: Ben Nemtin, New York Times #1 Bestselling Author, started an inspiring movement that encourages individuals to realize their dreams. Oprah Winfrey called Ben's life work "truly inspiring". Keynote Speaker: Honey Shelton, Nationally recognized speaker with 25 years of experience as a training and quality improvement consultant for banks and banking associations across the country. Founder of InterAction Training, the firm she founded for banks and credit union training. Event Expo: Sponsors and attendees discuss the latest training solutions and innovations in the industry. Workshops: From eLearning and Gamification to Presentation Skills and Managing Change. Networking: Opportunities to network with the greatest minds in Learning and Development. Ben Nemtin never expected a two-week road trip in 2006 to lead to a T.V. show, a book deal, or meeting with the United States president. In fact, his only goal was to get back to Victoria, B.C. without breaking the 1997 Dodge Coachman RV he and some buddies borrowed. Nevertheless, Nemtin, and friends Dave Lingwood, and brothers Jonnie and Duncan Penn raised gas money at a good-bye party and set out in their camper with one goal in mind: cross as many items off their "things to do before you die" list as they could in 14 days. "We didn't even think we would make it back from our first road trip," Nemtin chuckled following a keynote speech at the 2018 Prince Albert Chamber of Commerce Chairman's Night. "We thought the RV would die because a mechanic told us it wouldn't make it home. That was my biggest goal: not having to tow the RV back because it would have been so expensive." Their to-do list was extensive. It included the adventurous (learn to sail), the exotic (escape from a deserted island), the daunting (do a sketch with comedian Will Farrell), the intimidating (swim with sharks), the compassionate (pay for someone's groceries), and the downright strange (streak during a sports event and get away-according to the group's website this last goal is only partially complete). The trip turned into a sensation, and as people heard about the group's goals, random strangers stepped in to try and help. The group responded by helping others cross items off their bucket list too. What started as a two-week road trip expanded into a show on MTV called The Buried Life, a New York Times bestseller, What do you want to do Before you Die?, and stable of extraordinary memories. However, it wasn't until the group officially crossed off item number 95 (play basketball with President Barack Obama) that Nemtin really felt like they could do anything. "It was such an impossible goal," he remembered. "I truly did not believe that it would ever come to fruition. Something,k I think, inside me changed. It sort of clicked. There was now the inherent belief that the impossible was possible, that I could do whatever put my mind to it." What's most impressive about this isn't the stories or the achievements. Instead, it's where and how it all started. Prior to all this, Nemtin suffered from crippling depression. He dropped out of school and moved back in with his parents before deciding to take the trip that would change his life. He wanted to feel more alive. After having travelled the world and added new challenges to a new list (all but eight of the original 100 bucket list goals have been completed) Nemtin spends his time travelling the country speaking and advocating for mental health. The goal is to get people to stop being afraid and step out of their comfort zones, and it's that message that brought him to Prince Albert on Thursday night. "I think if more people did what they loved it would change the world because of the ripple effect it causes when you go after the things that you really love," Nemtin said. "That's really my mission, to get people out of that majority that looks back on their lives with regret." Nemtin added that it's not selfish to pursue bucket list type goals. instead, he views it as part of a healthy and productive life. He said there's this misconception that if we help people achieve their goals and dreams that they'll leave their business or communities behind. More the most part, he explained, that goal is unfounded. "It's not selfish to do the things that you want," he said. "You're actually helping (inspire) other people, and I think it would combat some of the mental health issues that we're facing." Nemtin said he's encouraged to see more and more young people doing just that. However, he's also hoping these ideas spill over into the world of business. During his keynote address, Nemtin emphasized that having happy, healthy and thriving companies is impossible without happy, healthy and thriving employees. The key is to eliminate fear, or at least convince people that fear of failure is holding them back. Nemtin said fear and failure are natural parts of creating and pursuing a bucket list. It's just about taking that first step. "It's hard to grow and learn about yourself if you don't push yourself to a point where you fail, because you're staying insde your confort zone and you konw it, so you don't grow," he explained. "I just htink failure is a gerat thing." COLORADO SPRINGS, Colo., Oct. 23, 2018 (GLOBE NEWSWIRE) -- HDI, the leading organization dedicated to elevating service and support across the enterprise, today announces its 2019 keynote lineup for HDI Conference & Expo. Five influential keynote speakers – including Robert Van Winkle (professionally known as Vanilla Ice); digital strategy expert Amber Mac; Ben Nemtin from MTV’s hit show “The Buried Life”; leadership expert Mark Sanborn; and executive coach Libby Gill – will headline the event to educate and inspire today’s technical service and support leaders. Winkle, known professionally as Vanilla Ice, is an American rapper, extreme athlete and home improvement TV personality. After surviving a suicide attempt, Ice was inspired to change his musical style and lifestyle. As a successful real estate entrepreneur and a remodeling expert, Vanilla Ice began hosting “The Vanilla Ice Project” on the DIY Network and published a book called “Vanilla Ice Project—Real Estate Guide” about succeeding in the real estate market. In his up-close and personal keynote, Ice will discuss his evolution and how he was able to take lessons learned from one career and thrive in another. Attendees will explore how he transformed from one of the hottest stars in the 90’s to a real estate entrepreneur and remodeling expert. Mac started her career in San Francisco and Boston during the dot-com boom in the late 1990s and has since been at the forefront of reporting on and participating in digital innovation. She is a regular business host and expert for Fast Company, CNN, Bloomberg TV and CBS due to her keen insight towards the continually evolving fabric of the social web and was recently hired to serve as an entrepreneur advisor on a new reality pilot called “Dream Funded: Let the Crowd Decide.” In her keynote, Mac will explain how many of the smart companies that are prized for “innovation” are actually just masters of “adaptation.” She will provide strategies for knowing when to adjust, when to speed up, and when to capitalize in our fast-forward economy. 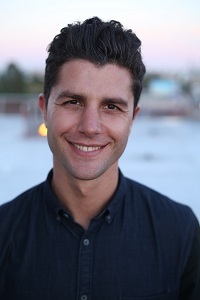 Nemtin is the #1 New York Times bestselling author of “What Do You Want to Do Before You Die?” and the star of the MTV show “The Buried Life.” He has been featured by major media outlets including The Today Show, CNN, Inc., ABC, CBS and more. In his compelling keynote, Nemtin will describe how “The Buried Life” grew from 100 impossible dreams scribbled on a piece of paper into a global movement of millions. He will provide insight into how to demystify daunting tasks and turn dreams into projects by creating a digestible pathway to success. His message of radical possibility combined with his ‘5 Steps to Make the Impossible Possible’ will leave attendees not only inspired, but also equipped to tackle the seemingly insurmountable. Sanborn is the president of Sanborn & Associates, Inc., an idea lab for leadership development. He has written and co-authored eight books and is the author of more than two dozen videos and audio training programs on leadership, change, teamwork and customer service. His book, “The Fred Factor: How Passion in Your Work and Life Can Turn the Ordinary into the Extraordinary,” was on the New York Times, Business Week and Wall Street Journal bestseller lists. Drawing from his work with top leaders and organizations, Sanborn will describe the why, what and how of taking any job, product or service up a notch. He will delve into how to replace money with imagination, build and keep better relationships, and rejuvenate purpose and passion to have more fun and success at work. After nearly twenty years in senior leadership roles at media giants Universal, Sony and Turner Broadcasting, Gill is now CEO of executive coaching and consulting firm Libby Gill & Company. She delivers keynote addresses, custom training programs and executive coaching for companies desiring to create a culture of risk-taking, innovation and bold leadership. Her proven “Clarify, Simplify & Execute” process inspires people to increase levels of hopefulness in the workplace by maximizing their “Leadership DNA,” building high-passion/high-performance teams and increasing employee engagement through authentic connections. In her dynamic keynote, Gill will share the scientific data, as well as her own research, on hope theory and its impact on the workplace. She will demonstrate why hope is one of the most significant and overlooked elements of successful leadership and corporate culture. The inspirational speaker then cracked open a bottle of bubbles he had hidden in his backpack, to celebrate with Zauzig, who works for the non-profit, Giving Back Fund, which helps celebrities and athletes like Justin Bieber, Britney Spears and Magic Johnson, set up and run charities. (KUTV) -- "The Buried Life" TV show and epic bucket list road trip were sparked because Ben Nemtin was suffering from depression. He hopes that people will start having more healthy and productive conversations about mental health and break the stigma around it. Nemtin says going through hard times is just a part of being human. "There will be trials and tribulations, and when you go through that down, that's ok. Just talk about it," he said. He suggests reaching out to people when you are going through that "down" time. They might end up needing you at another time. "That'd the kind of world we want to create--connectiveness and compassion. Because we're humans. We're going to go through these ups and downs." he said. Nemtin didn't use to talk about his depression because he was ashamed of it. "Now I talk about, and I can see the impact that it has right away," he said. Special moments Ben Nemtin experienced on "The Buried Life"
(KUTV) -- While Ben Nemtin was on a two-week road trip with his friends, they found that many people wanted to help them cross items off their bucket list. "We connected with them and they felt they were part of the journey. And then the same thing happened for us," he said. "When we helped other people, we were able to step into someone else's life in a moment that means so much to them and you immediately connect with them." They still have relationships with the people they met, even more than 10 years later. One special moment Nemtin remembers is a girl they helped get a bionic arm. She was born without a hand, and her friends were trying to get one for her--and it caught the attention of "The Buried Life" stars. "We are able to connect with a company that makes bionic arms. They donated the arm, and we surprised her and then followed her as she started to use the hand for the first time," he recalled. They have stayed in touch with her since then, and Nemtin recently ran into her while speaking at Bowling Green University. She is studying social work so she can work in a homeless shelter. "She's doing that because of this experience of us helping her. She wants to give back," he said. "There's something really powerful, not just in doing what you love, but also helping other people. Because the ripple effect that creates is exponential and you'll never know what the impact is," Nemtin said. Nemtin also got a lot of support from his parents about this epic roadtrip--even though they weren't exactly aware of what he was doing. "I didn't really tell them," he laughed. They only knew he was going on a trip with friends. But when they reportedly saw it on the news, "they were super supportive." (KUTV) -- Ben Nemtin and his friends learned a lot while crossing items off of their "The Buried Life" bucket list--some of them seemingly impossible items. "Just goes to show it's really about your mindset and your belief in yourself and the things that you really want to do," Nemtin said. For Nemtin, the lessons he learned from the experience morphed into a mindset and mantra for life. "You need to be passionate about what you're doing, or you will not have the energy to succeed," he said. Nemtin and the other "The Buried Life" stars wrote a book, "What Do You Want to Do Before You Die?" to help spread their message, which was recently revised and re-released. "We all got triggered by something that made us think we want to do something. And so we thought, 'How can we trigger people?" Nemtin said. So they asked people what they wanted to do before they died, and got thousands of responses. They compiled some of their favorites, and had artists turn them into life. Ultimately, Nemtin wants people to think about their own bucket list and what they want to accomplish, and not be afraid of having "audacious" goals. "It's about setting the bar high. You know, shoot for the moon, you land in the stars, and then just keep doing it," he said. SALT LAKE CITY — When it comes to commencement speeches being delivered across the nation this month and next, graduating students want less pomp, more circumstance. They want humor, humility and an easy-to-read roadmap to future success. And they don’t care if the speaker has a college degree. The late Apple founder Steve Jobs didn't have a college diploma. Nor did novelist Kurt Vonnegut, or actor Jim Carrey, each of whom delivered graduation addresses that are still being watched online years after they were delivered. And a speaker's fame, or the venue, doesn't seem to make a difference in whether or not a commencement speech endures. Thousands have watched actor Will Ferrell’s speech at the University of Southern California, but few still hearken to the advice given by musician Billy Joel at Berklee College of Music in Boston. And Chief Justice John Roberts' memorable graduation speech wasn't delivered at an Ivy League school but before a class of ninth-graders in a small town in New Hampshire. Even paying big bucks to the speaker doesn’t seem to affect whether a speech will have legs. Former New York City Mayor Rudy Giuliani reportedly was paid $75,000 for a commencement speech at High Point University in 2005 that, 13 years later, has fewer than 200 views on YouTube. Jobs' address the same year has been viewed more than 29 million times. But when you look at the most memorable speeches, three qualities stand out, both speakers and speechwriters say. When Jobs took the podium at Stanford University in 2005, he told the graduates and their families he was just going to tell them three stories. "That’s it. No big deal. Just three stories." Then, as promised, he told stories that were simple, but to many people, unforgettable. The first was about dropping out of college, but then going on to take a calligraphy course that would influence the design of Apple products. The second was about getting fired from Apple, and the third was about being diagnosed with pancreatic cancer. He closed with four surprising words borrowed from The Whole Earth Catalogue: "Stay hungry. Stay foolish." That speech was among the ones that stand out for Ben Nemtin, star of the MTV reality show "The Buried Life," whose parents, sister and girlfriend came to see him deliver the commencement speech at the University of Utah on May 3. Like Jobs, Nemtin crafted his speech, "Conquering the Impossible," around a story: how he, along with three friends, built a wildly successful endeavor out of failure. Nemtin had a scholarship to a college in Canada, but dropped out because of crippling anxiety. But with his friends, he devised an unusual bucket list — one that was not just about things they wanted to do before they die, but how they could help others achieve things on their list. And yes, along with playing basketball at the White House with President Barack Obama, and having a beer with Prince Harry, giving a commencement speech was on Nemtin's bucket list; No. 67, to be precise. But it was a task he took seriously, writing the speech over several months and rehearsing it for friends. "This was a great challenge because I knew the potential for impact was high," Nemtin said. "This is a pivotal and memorable moment in students' lives and I really wanted to play a positive role in shaping their next steps. My goal was to make every word intentional and have resonance." The only way to do great work is to love what you do. If you haven’t found it yet, keep looking. Don’t settle. As with all matters of the heart, you’ll know when you find it. And, like any great relationship, it just gets better and better as the years roll on. David Green, a speechwriter in New Jersey and owner of the communications firm UnCommon Knowledge, also lauds Jobs' speech, as well as another speech that wasn't delivered at a commencement, but is similar in tone and goal. That one was delivered by the late Carnegie Mellon University professor Randy Pausch and is known as "The Last Lecture." It's an example of the effect an exemplary speech, honestly delivered, can have on the listeners. "It was so raw, so accessible, all the barriers were down," Green said. "To be able to be witness to that kind of speech, that kind of presentation, is incredibly powerful. The students in that room will remember that speech their entire lives. People probably made decisions about their life based on what he said." Pausch's 76-minute-long lecture was eventually turned into a book, which is the happy fate of many other successful speeches. Vonnegut's "If This Isn't Nice, What Is?" is largely a compilation of graduation speeches, to include those given at Rice University in Texas, Agnes Scott College in Georgia and Syracuse University in New York. So was J.K. Rowling's speech at Harvard University, which became a book called "Very Good Lives," and the late David Foster Wallace's speech at Kenyon University in Ohio, which became "This is Water: Some Thoughts, Delivered on a Significant Occasion, About Living a Compassionate Life." Wallace's remarks, dubbed “the Everlasting Speech” at Kenyon on the 10th anniversary of its delivery, in many ways set the bar for what a commencement speech can do, elevating its task from inspiring graduates and keeping their families awake during a lengthy ceremony, to providing long-term publicity for the school and advice for future generations. “The proliferation of the speech in multiple forms has had a collateral effect for Kenyon, amplifying the college’s name in quarters where it might not otherwise be heard,” the preface to an article in a Kenyon alumni bulletin said. Elizabeth Lopatto, the author of that article, was a Kenyon junior at the time of the speech, but she was at the ceremony to see friends graduate. Now a science editor living in Oakland, California, Lopatto said the speech had an “ambivalent mix of uplifting and soul-crushing moments” that drew the audience in. But the speech also endures because of its inherent poignancy that came with Wallace's suicide three years after the speech. This is a quality both Jobs' and Pausch's speeches contained because of their illness. “He was very humble, very self-deprecating, and then he organized his speech brilliantly,” Green said. The simple and compelling start provided a momentum that built throughout the speech, he added. “You want to do something right out of the box in your first 60 seconds that whacks people upside the head and they think, ‘Oh, this isn’t what I thought it would be, I better pay attention,’” Green said. As important as Wallace's speech was, both to people who have heard it and to Kenyon, Wallace received no compensation. The college doesn’t pay its commencement speakers although it does cover travel expenses, Kenyon spokeswoman Mary Keister said. A committee comprised of students, faculty and staff work together to select the speaker and the people who will receive honorary degrees a year in advance; that way, Kenyon juniors have input into who they will hear at their graduation ceremony. The school president makes the final decision from the committee’s recommendation and extends the invitation, Keister said. The importance of the commencement speaker is evident on Kenyon’s website, which lists speakers back to 1834, 10 years after the school’s founding. The first speaker was Salmon P. Chase, Abraham Lincoln’s secretary of the treasury; this year’s (on May 19) will be Nate Silver, a writer, editor and statistician who founded the website FiveThirtyEight. The school looks for someone who shares the intellectual curiosity of Kenyon's students, Keister said, but doesn't direct or shape the topic of the speech; that's entirely up to the speaker, as is the length of the speech. Likewise, a committee of students, faculty and staff helped choose Nemtin, this year's speaker at the University of Utah. “They focus on finding speakers who are inspiring, are thought leaders in their field, and when possible, have a connection to the university,” spokeswoman Annalisa Purser said. Nemtin didn’t have a Utah connection — he's from Canada and now lives in California — but his core message of doing what you love and helping others achieve their dreams was a good fit for the school, Purser said. Like Wallace, who will forever be associated with Kenyon even though he didn't matriculate there, Nemtin has a Utah connection now. “By doing what you love, you inspire other people to do what they love," Nemtin said in his conclusion. "And that ripple effect goes far beyond what you’ll ever know." Just like an extraordinary graduation speech. SALT LAKE CITY — In a sports arena full of college students with newly minted degrees and career aspirations, a best-selling author advised University of Utah graduates not to get so buried in their responsibilities that they forget their dreams. 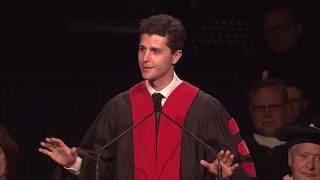 Ben Nemtin, star of MTV’s “The Buried Life,” told the graduating class of 2018 Thursday that his quest to accomplish items on his bucket list took him to Oprah Winfrey's couch and to the White House to play basketball with former President Barack Obama. Along the way of what was to be a two-week exercise with some buddies now going on a decade, he learned important life lessons, among them that it's OK to ask for help, he said. "Asking for help in that time of need comes with no shame because whomever you go to help, you'll want to return the favor when they come to you in their time of need. This the world we want to create, a world of connectedness and compassion," Nemtin said, addressing graduates during the U. 's 149th commencement at the Jon M. Huntsman Center. As much as Nemtin has enjoyed experiences on his bucket list, he told the graduates it had been far more satisfying to help others achieve theirs. He lifted up the good works of U. students, including one who has created sleeping mats out of discarded grocery store bags, which she gives to people experiencing homelessness. It should be easy for other U. students to follow suit because there's something about Utahns' nature that they are eager to lend a hand, he said. Hodan Abdi, a Somalian refugee, who had no formal education until she was resettled in Utah as a child, called on her fellow graduates to use the skills and knowledge gained at the U. to improve the human condition. Abdi, who earned a bachelor’s degree in chemistry with an emphasis in biology, will enter medical school at the University of Minnesota in the fall. "As students of the University of Utah, we are global citizens. Each one of us has talents and the skills to make a big impact in our communities," said Abdi, who was selected as student speaker and received a standing ovation from the crowd. U. President Ruth V. Watkins presided over her first graduation as president of the University of Utah. She was appointed the 16th president of the U. on Jan. 18, succeeding President David Pershing, who has retired from the top administrative position. Watkins told the U. 's 8,568 graduates that when she was a swim teacher, she was far more successful when she got in the water instead of offering instruction from the side of the pool, urging them to enter their respective fields of endeavor wholeheartedly. "You have received an exceptional education. I hope that you leave here more informed about the world around you and also prepared to be a lifelong learners," Watkins said. Richard Brown, dean of the College of Engineering, was awarded the university's Rosenblatt Prize, which recognizes, encourages and honors excellence in teaching, research and administrative efforts. Watkins said Brown was honored for his focus on academic excellence, the development of new courses and growth in numbers of degrees awarded by the college. The winner of the prize receives a $40,000 cash award. The university also honored an outstanding public school teacher, Cindi Dunford, who teaches at James E. Moss Elementary School in the Granite School District. Honorary doctorate degrees were given to community leader Barbara Lindquist Tanner and retired 3rd District Judge Raymond Sonji Uno. Tanner is a humanitarian, human rights activist, philanthropist and elementary education alumna of the University of Utah. Uno, a civil rights advocate, was the first ethnic minority judge in Utah’s history. “These two individuals are incredible examples of dedicated service and leadership, and their unfailing commitment to the university sets them apart as pillars in the community,” Joe Sargetakis, chairman of the board of trustees’ honors committee, said in a prepared statement. The U's graduating class includes students from 80 countries, all U.S. states and 26 of Utah's 29 counties. The oldest undergraduate degree recipient is 69 while the youngest is 19, the average 26. The university conferred 9,113 degrees because some graduates earned multiple degrees. More than half are bachelor’s degrees but the university also conferred 2,343 master’s degrees; 703 doctoral degrees; 97 law degrees; 101 medical degrees, 23 dental degrees and 55 pharmacy degrees. Among students who earned graduate degrees, the average age is 31, with the youngest 21 and the oldest age 63. The top undergraduate degrees include psychology, communication, economics, biology, nursing, business administration, mechanical engineering, human development and family studies, accounting and computer science. The average undergraduate grade point average is 3.37. With this year’s commencement ceremony quickly approaching, posters bearing the question “What’s on your bucket list?” have been placed across the University of Utah’s campus. 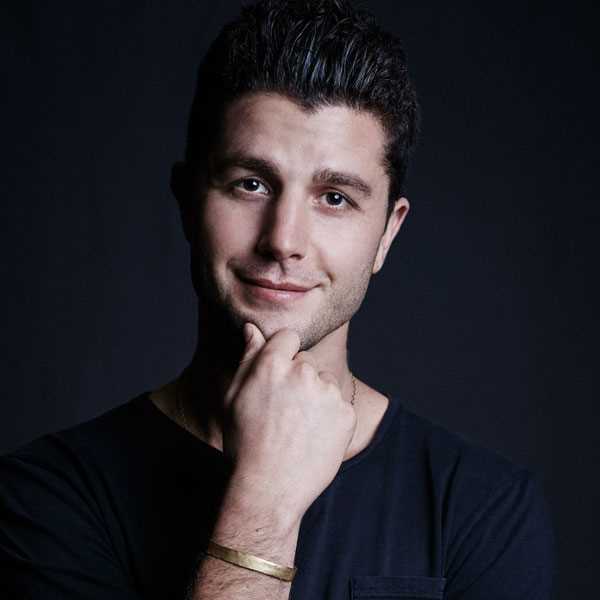 The idea behind this theme takes root in “The Buried Life” movement, an initiative-turned MTV series founded by four college students, one of whom is this year’s commencement speaker, Ben Nemtin. Jonnie Penn, Dave Lingwood, Duncan Penn and Nemtin were sitting in their parent’s garage wondering how to make an impact and give meaning to life when they came up with the idea for the project. “We had all of these things we wanted to do and we weren’t doing them,” Nemtin said in a 2015 TEDx talk. The group decided to draft a bucket list of 100 items. The namesake of the project is a 19th century poem by Matthew Arnold. The four identified with the plight Arnold discussed in the poem. They felt their hopes and dreams were buried by school and work. The group took a road trip in a borrowed RV, working through their bucket list while helping others do the same. For every item crossed of the bucket list, the four pledged to help another person cross an item off of their own list. From buying a truck for a small business owner to helping a young man search for a kidney donor, the quest for meaning quickly became a daily reality for the four college students. Students and attendees of this year’s commencement ceremony at the U will have the opportunity to hear about this movement. In an email, Nemtin said he is “thrilled to have this opportunity.” He stated he feels his message applies to many college students looking for meaning. “We all need reminders of what is truly important or those things get buried and lost,” Nemtin wrote. Barbara Smith, a spokesperson for the U’s president’s office, believes the choice to have Nemtin deliver the address is a result of a shift in the way the commencement ceremony is managed. The shift, according to Smith, took place shortly after former U President David Pershing took office. Smith recounted changes in the way the ceremony is run, such as a video projection inside the commencement hall showing a real time feed of graduating students lining up outside. Other changes include the addition of an Instagram picture contest, videos documenting the achievements of honorary degree recipients and the change from a morning commencement ceremony to an evening ceremony. Ben Nemtin was an outstanding student and athlete from Canada - one who went on to play rugby at the university level. By the time he made it there, however, his anxiety and depression started to run his life. After dropping out of school, Nemtin made the decision to surround himself with people who inspire him. 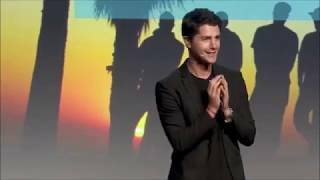 Now, the New York Times best-selling author and star of MTV’s “The Buried Life” pays that favor forward as an inspirational speaker. The life change started when he and his friends, Jonnie, Duncan, and Dave, had the idea to make a documentary film. 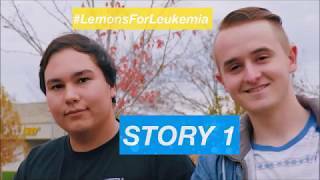 They created a complete bucket list, and for everything they completed, they would help total strangers complete an item on their bucket list. Soon they were approached by MTV. Ben has now traveled the world sharing his stories and teaching people how they can cross items off their bucket lists. The major themes of Nemtin’s speech Monday at Bowling Green State University were that goals can never be too lofty and the impossible is possible. 1: What’s Important? Determine what is important in your life. What are your dreams, your values, your passions? It is from this that you can create your bucket list. 2: Write your list. This step is simple enough, but Nemtin argues that physically writing it down can turn your intangible dreams into tangible reality. 3: Talk about your list. Communicate your list to others. From there people will be able to help you. 4: Have creative persistence. Failure is inevitable. Don’t let others telling you no stop you. Keep on trying. 5: Be audacious. Nemtin argues that too many people shoot for realistic goals and that not enough people aim beyond. Therefore, there should be more people working to achieve goals that only seem unrealistic. 6: Help others. Helping others will help you accomplish many things. When you help other people, other people, in turn, will want to help you. Nemtin’s bucket list quest has inspired millions to chase their dreams. Freeform, Disney's young adult television and streaming network, has announced "Movie Night with Karlie Kloss," a six-part series of short-form games and interviews, will premiere on Dec. 28. Taking the ultimate movie night to the next level, the supermodel, tech guru and fashion icon will invite some of her closest friends for an evening of movies, games, baking and fun, all while watching some of the most beloved "movie night" films, including "Dirty Dancing," "Harry Potter and the Chamber of Secrets," "Hitch," and "Never Been Kissed," among others. Guest appearances throughout the series include tennis star Serena Williams, Rachel Bilson ("Nashville"), Burkely Duffield ("Beyond"), ballet dancer Fabrice Calmels, relationship expert Matthew Hussey, Carter Jenkins ("Famous in Love"), Victoria Justice ("The Outcasts"), Peyton List ("BUNK'D"), Ruby Rose ("Orange Is the New Black"), Youtube star Lilly Singh, magician Joel Ward, and supermodels Jourdan Dunn, Kaia Gerber, Ashley Graham, Martha Hunt, Kendall Jenner, Joan Smalls and Amber Valletta. "Movie Night with Karlie Kloss" will premiere on Thursday, Dec. 28, at 6:30 p.m. EST with guests Jourdan Dunn, Burkely Duffield, Martha Hunt, and Joel Ward. Additional airdates will be announced at a later date. "Movie Night with Karlie Kloss" is executive produced by Brad Tiemann, Ben Nemtin, Duncan Penn, Dave Lingwood and Jonnie Penn for THEOS, Sean Hayes and Todd Milliner for Hazy Mills, Karlie Kloss for Klossy Productions, Scooter Braun and Penni Thow. Lisa Fletcher serves as showrunner. The Bucket List Fundraiser Gala hosted by the Prince George Hospice Society is set for September 22. The event is being held at the Prince George Civic Centre with Ben Nemtin of MTV’s The Buried Life as the guest speaker. The fundraiser gives people a chance to have one of their bucket list goals achieved after they purchase a ticket. The goals are divided into three categories. “So the A list is like walk the Great Wall of China, Machu Picchu that sort of thing, the B list skydiving, white water rafting and then your C’s is likely learning Spanish and that sort of stuff so every week we’re giving away a b and a c wish,” says Donna Flood, executive director. I can tell you Ben was one of the top talks of the day. He was incredible! 153 countries tuned in live to watch and I'm certain once his talk goes online in the coming week his will go super viral through our community. "Ben’s presentation was, hands-down, the highlight of our Annual Meeting! He was entertaining and humorous, and his message of challenging attendees to identify their goals, as well as how to work together to achieve those goals, was motivational and thought-provoking. In sharing his story, Ben encouraged leaders to follow their dreams and make a difference in the world not only for themselves but, more importantly, for others. As an event planner for nearly 30 years, Ben’s story was one of the most inspiring I’ve heard!" "Ben did an excellent job of sharing his story in a light and lively way. We have a group that varies in age from 20 to 80 and all were entertained. I have been going to this meeting for over 25 years and the audience participation was far and above greater than any I have ever seen." 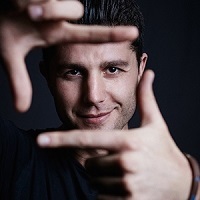 "Ben Nemtin is a masterful storyteller and speaker, who has a remarkable way of connecting with audiences and using his life and “bucket list” adventures to help and inspire others! We were honored to have Ben keynote three different events in Memphis, TN, including a reception with hundreds of college students and business professional mentors, a fundraising dinner for the Boy Scouts, and our cityCURRENT Signature Breakfast with more than 400 prominent community leaders. At each event, Ben received a standing ovation! It was absolutely amazing to see THREE standing ovations with three completely different audiences! Even better, Ben is a genuine, good guy. He was a pleasure to work with and extremely professional when it came to his preparation and tweaking his presentations to fit the audiences. You’ll find that watching Ben is like watching a movie where he combines personal stories with media to make you laugh, cry, learn, and then want to act to take control of your life and make a difference in the lives of others. If you’re looking for a speaker to truly inspire your audience, I definitely stand behind Ben Nemtin! We’re still receiving rave reviews from his presentations, so please feel free to reach out if you would like any more information about my experiences in booking Ben Nemtin." I just wanted to pass on my praise for Ben. He was just wonderful, a great message, speaker and wonderful person. You were correct we loved Ben. I can’t wait to see our results to our survey when they come in. Thanks again for everything, we have a very successful meeting. "The event was incredible! We were so pleased with our decision to bring in Ben. The audience was really engaged and there was a long line for autographs. We had a lot of positive feedback. Thanks so much for working on this engagement with us. It’s been a very pleasant experience. We will definitely include ESB in our search for next year’s keynote!" "Ben’s storytelling and ability to connect with our audience was apparent from the minute he greeted our participants. Listening to his story made everyone in the room feel empowered and motivated to make a difference and be courageous in their own lives. Ben helped us realize that we as individuals and leaders have the ability to make a real impact and empower others to make that same impact not only professionally but in our everyday lives. The message was perfectly aligned with our theme and I had so many attendees say it was the best event to date. I would highly recommend Ben to anyone wanting to add that “WOW” factor to their event."